Our Story — Best Equipment Co.
Best Equipment Company is a family owned and operated company based out of Indianapolis, IN. 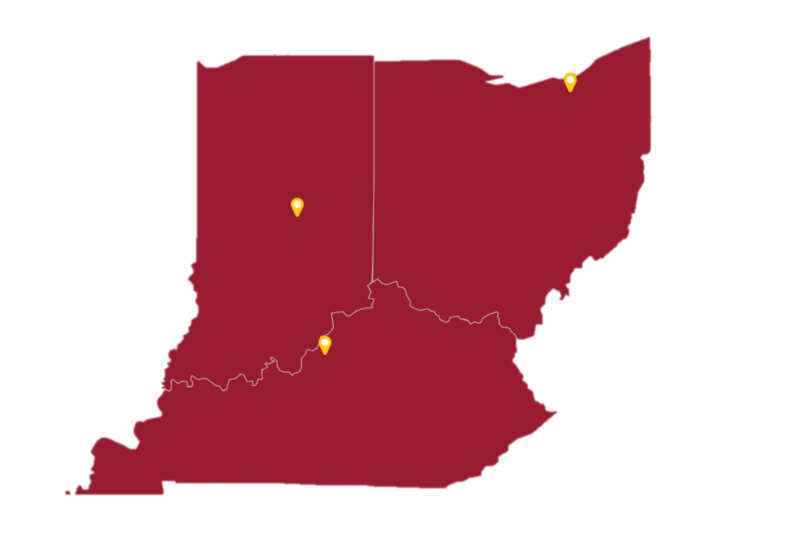 Best Equipment's headquarters are located in Lawrence, IN with two additional full service facilities located in North Royalton, OH and Louisville, KY.
Owners, Mike and Maria Dahlmann, have been involved in the company since the early eighties, acquiring the company from Mike's father in 1998. Having specialized in environmental equipment solutions since 1917, Best Equipment has a long history of providing Indiana, Ohio, and Kentucky with productive, environmentally sound, efficient, and budget saving solutions. Best Equipment is proud to provide top notch service and support in the refuse and recycling, storm water and sewer, sweeping and litter control, yard waste and turf control, and hydroexcavtion industries. Great people and superior products are what make Best Equipment unique. The products that Best Equipment represents are carefully selected to be industry leaders, innovative, and reliable products. But what makes the Best Equipment experience unique is the support and attention received from our stand up staff. Every talented member of the team is part of the "Best family" and believes in the company's philosophies revolving around integrity and value. Best Equipment Company looks forward to being able to serve you and your needs.